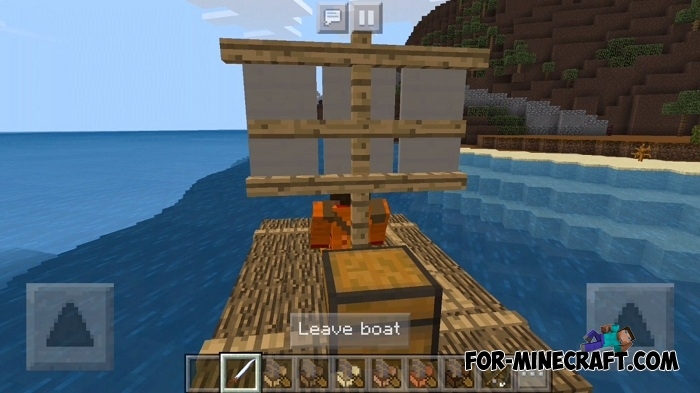 Replace the small boat with a real wooden raft made of planks. 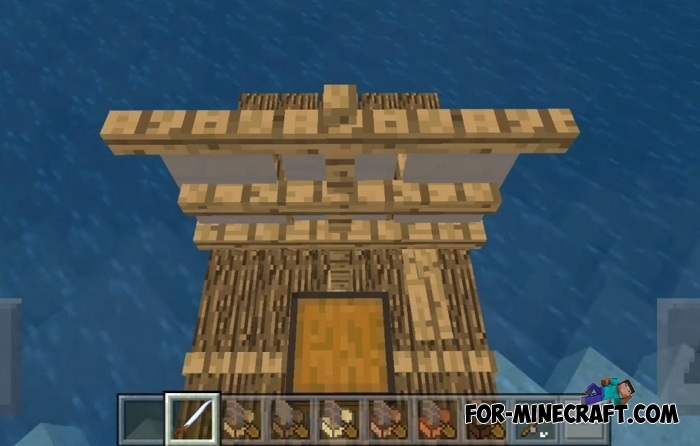 There are 6 types of rafts, they all have the same parameters but are built from different wood. 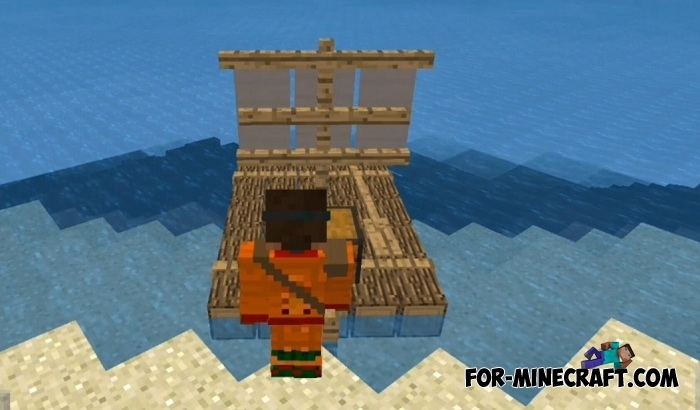 The raft is several times larger than the boat, has a small sail in the center and a chest for those who need to store extra things somewhere. The raft is resistant to any weather and can be used for its intended purpose. 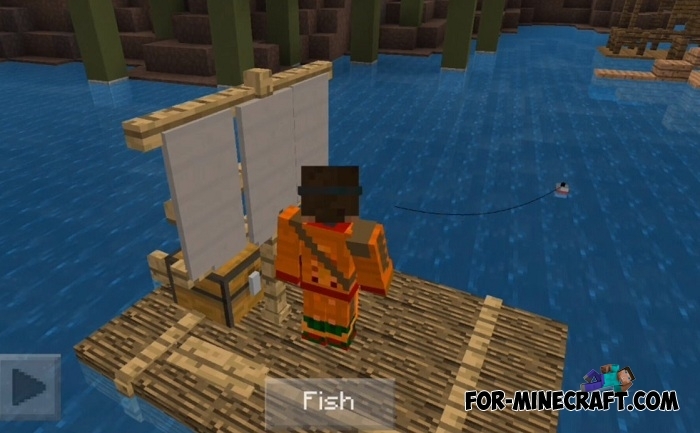 Take the fishing rod and go fishing on one of the rafts. 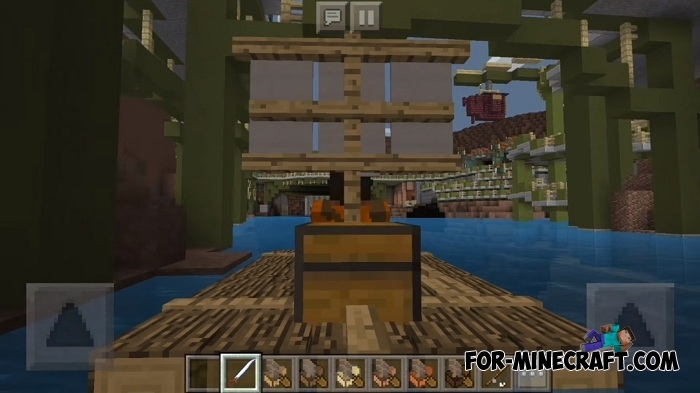 Thanks to the new aquatic features in Minecraft Bedrock Edition 1.4, you can catch new kinds of fish, swim with dolphins and find new underwater structures with treasures.